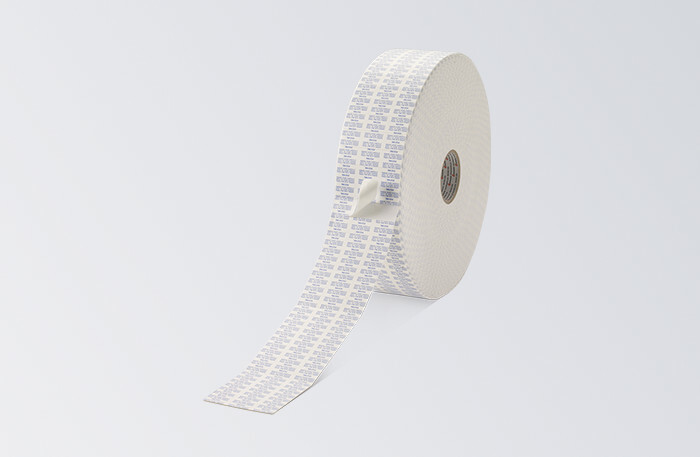 Essentra makes a range of double-sided tapes for bag sealing with either a hot-melt rubber-based adhesive or a water-based acrylic one depending on the application needs. Coated both sides with a high-performance, hot-melt rubber-based adhesive and supported by a heat-cuttable film-release liner with a finger-lift dry edge on both sides for fast and easy liner removal. Available in blue, pink, white and red. With a water-based acrylic permanent adhesive on the exposed side and a water-based peelable acrylic removable adhesive on the liner side, and supported by a heat-cuttable film-release liner with a finger-lift dry edge on both sides for fast and easy liner removal.